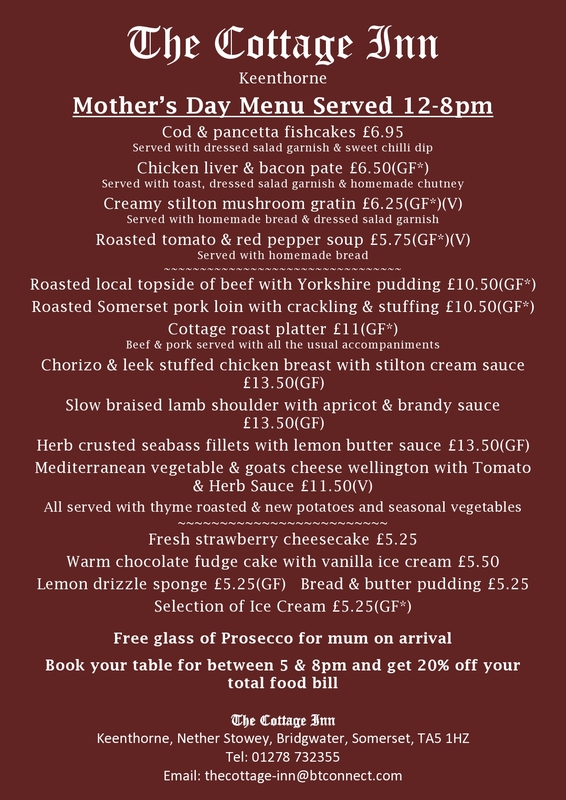 Join us for Mother’s Day and show Mum how much you really care. We are serving between 12-8pm so please book early to avoid disappointment. Were giving all Mum’s a well deserved glass of Prosecco upon arrival. And all tables booked for between 5pm & 8pm will receive 20% off your total food bill. So call us today on Tel:01278 732355 and reserve your table.